Can you peel an apple? Can you use a knife? Do you own an oven? 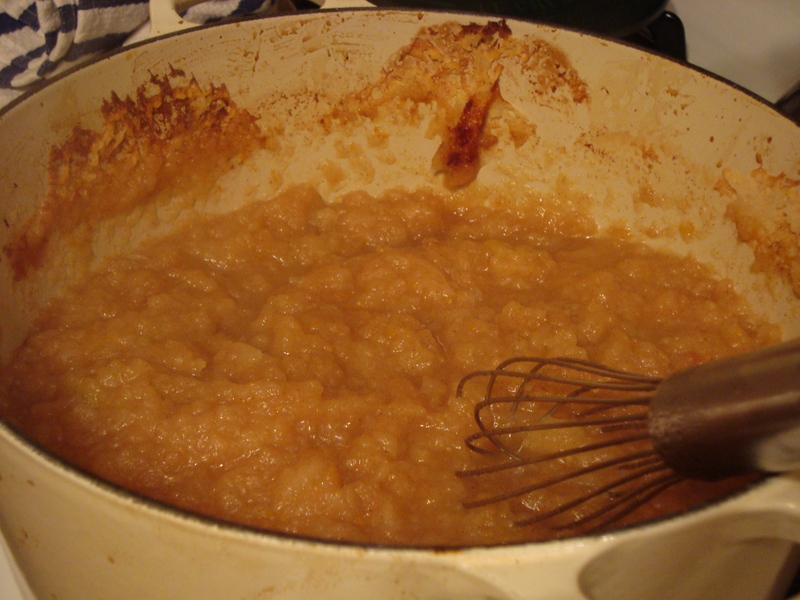 If you answered yes to these questions, you can (and should) make your own applesauce. To be perfectly honest, I am TERRIBLE at peeling apples and I still managed. Thanks to Ina Garten for this recipe! Preheat the oven to 400 degrees. 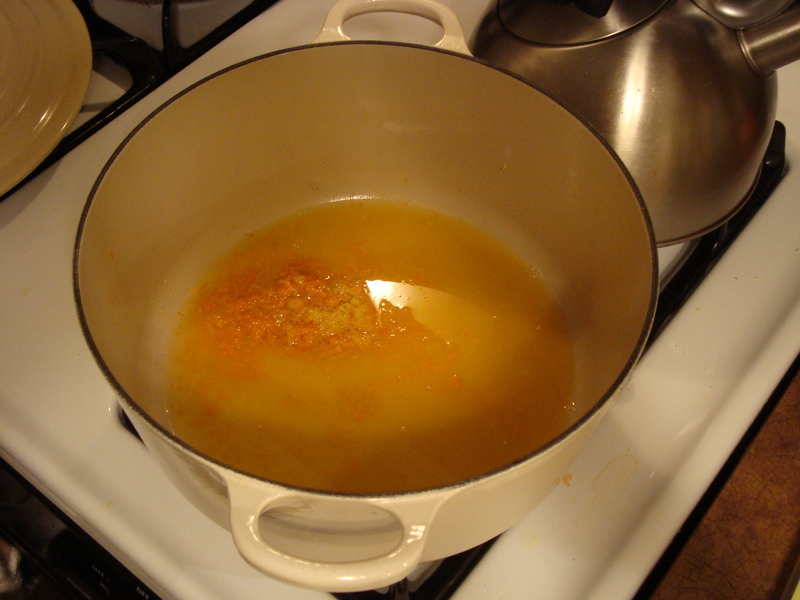 Put the zest and juice of the oranges and lemon into a 5.5 quart (or larger) Dutch oven or enameled iron pot. 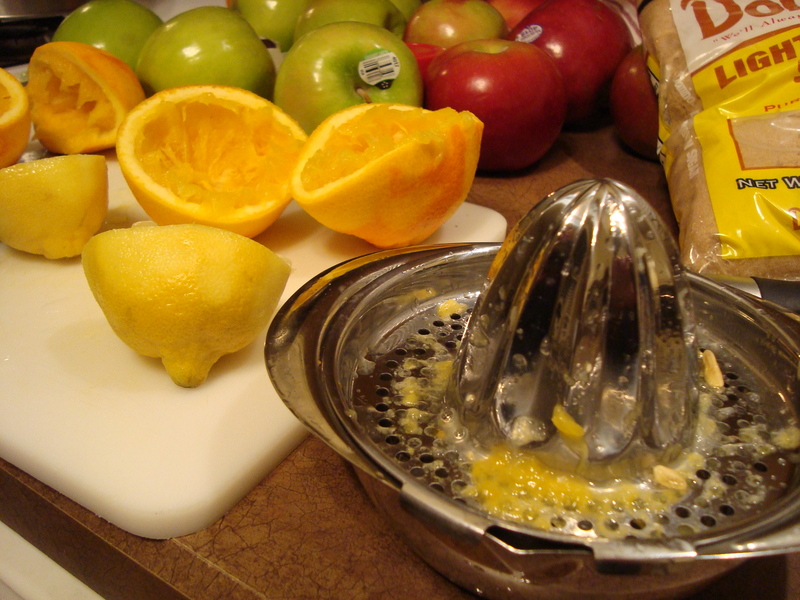 I use one of these juicers, but an electric one is even better. Make sure you zest the fruit BEFORE you juice it. Whatever you do, don’t just squeeze the lemon over the pot because you will wind up with twenty seeds in your applesauce. If you don’t have a juicer, just roll the fruit around on the counter and then squeeze it into a separate bowl so you can strain out the seeds. Now it’s time for the annoying part. You have to peel and quarter the apples. 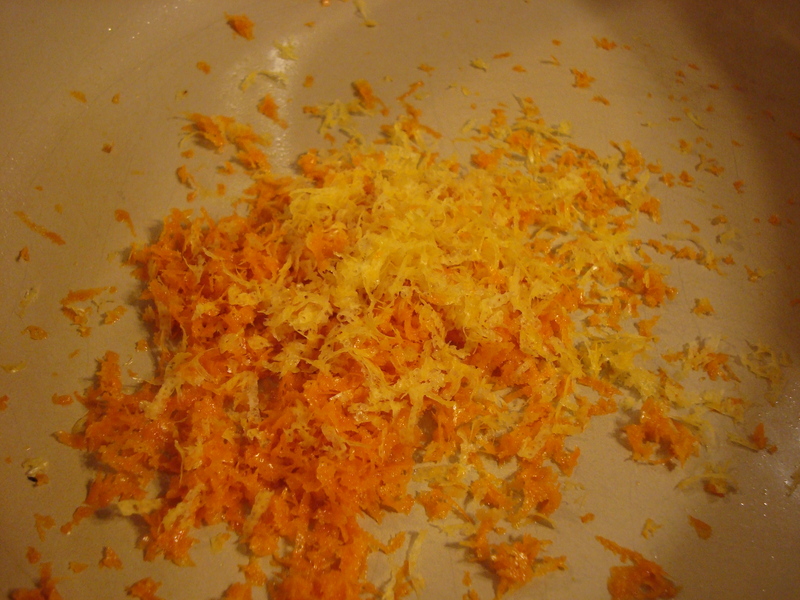 As you finish each apple, toss it with the juice and zest so it won’t turn brown. 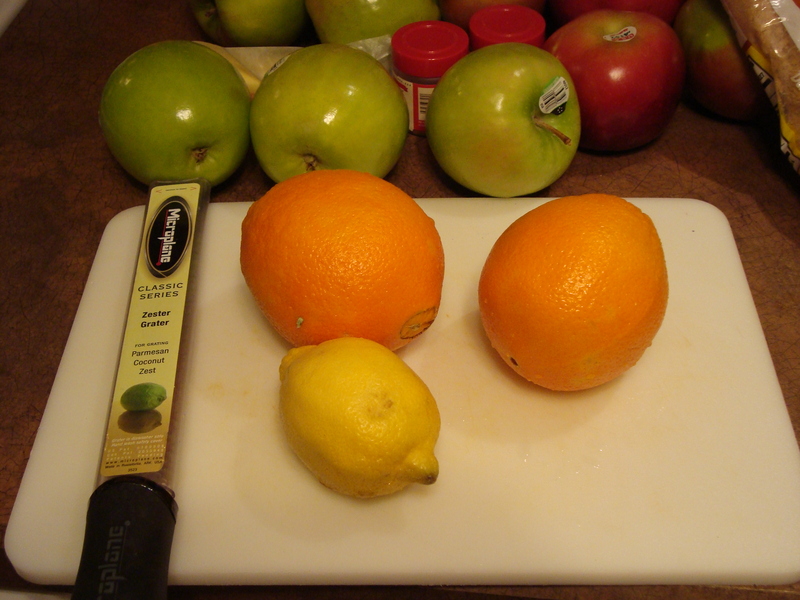 To give the applesauce a nice color, throw in some of the larger red peels. 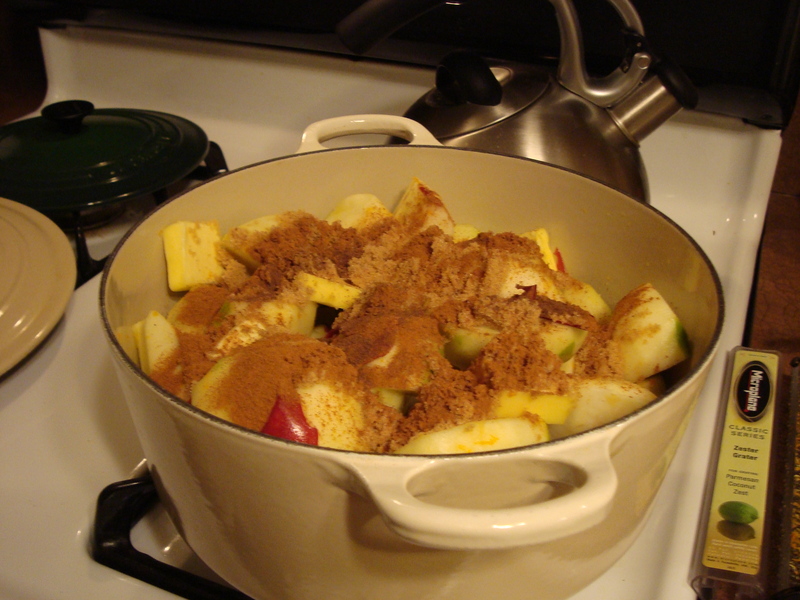 Add the half cup of brown sugar, 2 teaspoons of cinnamon, 1/2 teaspoon of all-spice, and 4 tablespoons of unsalted butter. Toss it together and tightly close the lid before putting it in the oven. Bake for an hour and BE CAREFUL as you remove the lid. The steam is positively scalding! 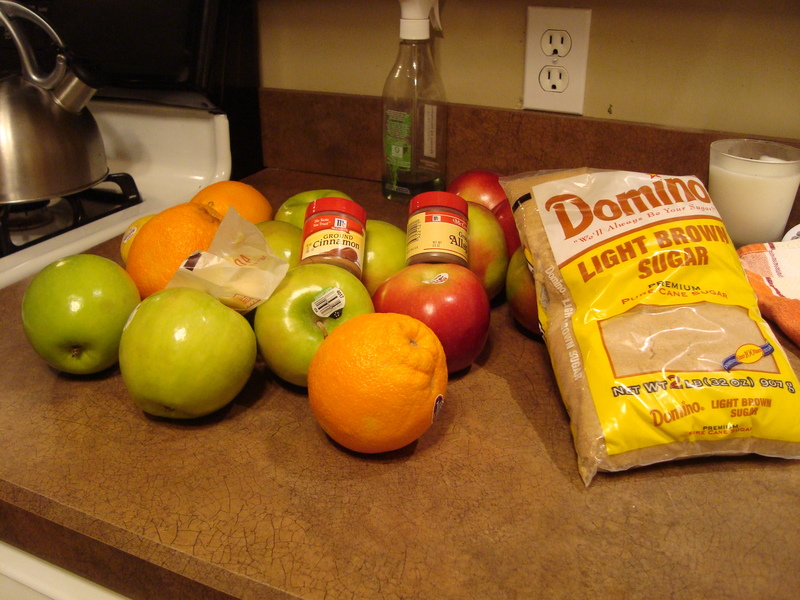 Remove the red peels and stir the applesauce with a whisk. That’s it! You’re done! 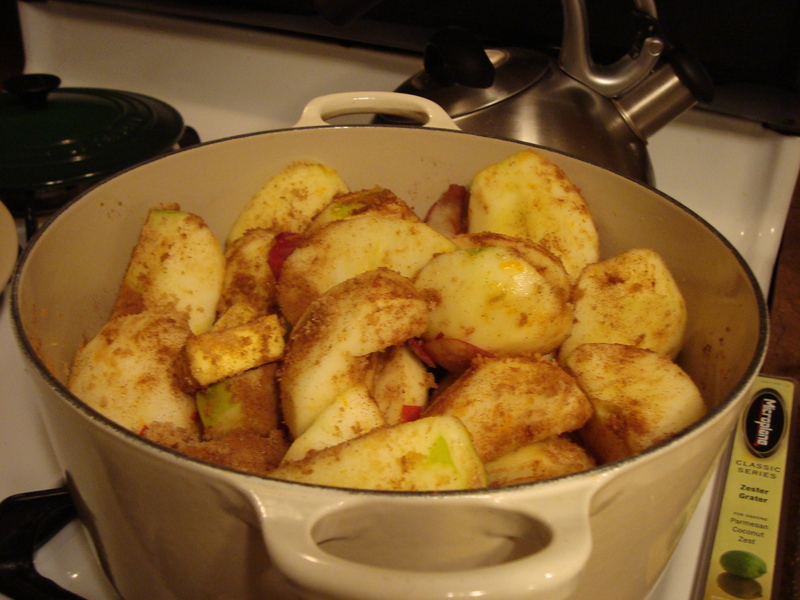 VARIATIONS: As prepared above, this applesauce is pretty tart. 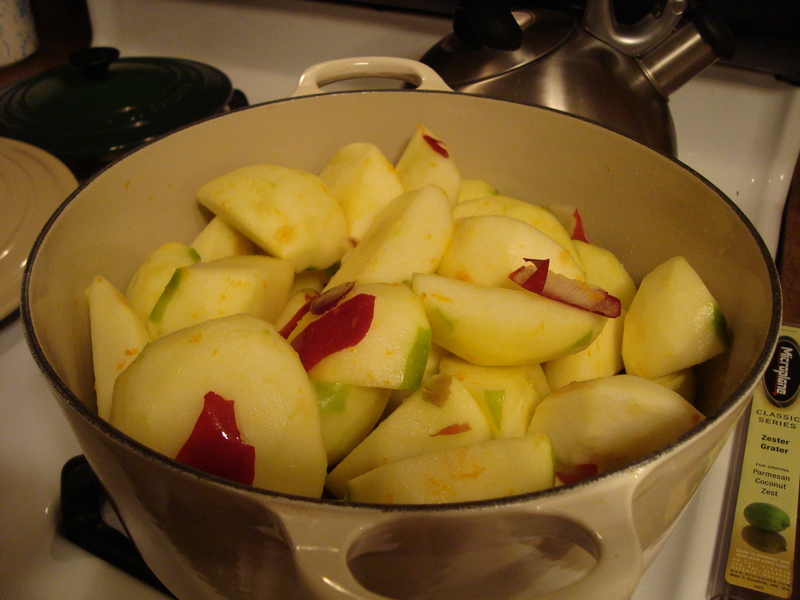 If you prefer a sweeter sauce, use a lower ratio of granny smith apples. You can also use less orange juice if you like less of a citrus twist.